How is your Lent going so far? Have you met all of your resolutions of prayer, fasting and almsgiving? Well fear not - Lent is a process, a journey. And with three weeks left, there's still time to improve your spirituality and grow closer to Christ. Here are some ideas that have been helpful to me in the past. Get to daily mass - or at least one additional mass besides Sunday during the week. Spend the last few moments of the day after the house is quiet in prayer. Do whichever makes the most sense for your schedule. Spend some time before the Blessed Sacrament, even if it's only for five minutes. Spend some time in Eucharistic Adoration. Get to confession at least once during Lent and make a good examination of conscience. In addition to the penance assigned by the priest, fulfill the conditions necessary for a plenary indulgence. Make a decision to read some scripture every day, starting with today's! Pray the Liturgy of the Hours. You can buy a one-volume edition or a full four-volume edition. Or you can get it day by day online for free at www.universalis.com. Or you can subscribe to a monthly publication called the Magnificat that provides a few things from the liturgy of the hours together with the Mass readings of the day. The Magnificat is a great way to start learning the Liturgy of the Hours. 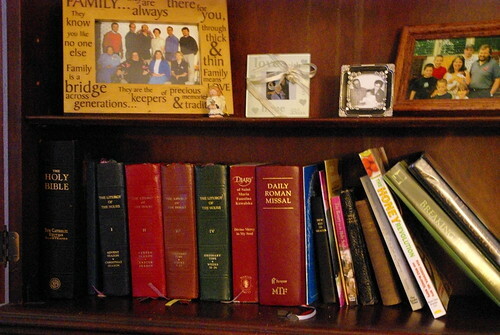 You can also access the Divine office online here and here. Make the Stations of the Cross each Friday. if you have kids, bring them. 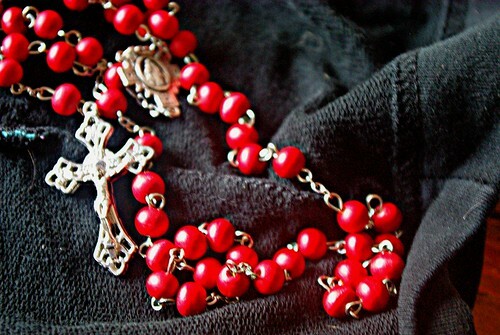 Pray the Rosary, particularly the Sorrowful Mysteries on Friday and Wednesday. Have set prayer intentions: For the Holy Father, for the bishops, for your priest and deacons, for the Christians that are persecuted, for Christian unity, for the evangelization of those who have not heard of Jesus. This one is harder - pray for your enemies by name. Think of the person who has hurt you the most and spend time thanking God for that person and asking God to send His blessing on them. Pray for the end of abortion. Find a form of fasting that is appropriate for you and stick to it. Some fast on bread and water on Wednesdays and Fridays. Some give up sweets or alcohol. Take the money you save to give to the poor. Fast from gossip and complaining. Attend a retreat or parish mission this Lent, or do one online. Learn about your patron saint. Buy two of everything on your grocery list and give the duplicates to the local food pantry. Give away a material item you really value. Talk to a neighbor you rarely or someone at church you never talk to. Test your knowledge of Scripture. Listen to Catholic Radio in your car or download an app. Watch the Passion of the Christ or Jesus of Nazareth.